Welcome to the eighth episode of NotOpodcast, where Kilroy joins me to discuss a variety of topics such as the rise of multiplayer-only games, microtransactions, Bethesda, Fortnite, Intel's CPU lineup, Google's phone and messaging strategies, the importance of shooting practice, the resurgence of SMGs, and the US Army's move away from 5.56. Welcome to the seventh episode of NotOpodcast, where Michael, Kilroy, and Anshel join me to discuss a variety of topics such as the Battlefield 1 Beta, the Sony PS4 Pro, the Apple iPhone 7, Anshel's experiences at IFA Berlin, techwear and gear choices, as well as equipment logistics. Welcome to the sixth episode of NotOpodcast, where Michael and Anshel join me to discuss a variety of topics such as No Man's Sky, the latest in VR gaming, Anshel's experiences at VRLA (the Virtual Reality expo in Los Angeles), the new Samsung Galaxy Note7, the newest GPUs on the market, firearms in video games, and some basics of pistol mechanics. Welcome to the fifth episode of NotOpodcast, where Michael and Ron join me to discuss a variety of topics such as upcoming games from ComicCon, Nintendo's rumored NX console, Motorola as a division of Lenovo, red dots and optics, and the recent occurrences of violence abroad. Welcome to the fourth episode of NotOpodcast, where Kilroy and Michael join me to discuss a variety of topics such as the Pokemon GO craze, smartwatches and augmented reality, self driving cars, some background on the AR15, and the "One Gun" philosophy. Welcome to the third episode of NotOpodcast, where Kilroy and Michael join me to discuss a variety of topics such the latest on E3 announcements from this week, physical phone keyboards, an in depth look at the upcoming Xbox Project Scorpio, the tactical triad, and ignorance about AR15s. Welcome to the second episode of NotOpodcast, where Kilroy and Michael join me to discuss a variety of topics such as the rumored new versions of the Xbox One and PS4 consoles, the ways software is changing the hardware landscape, and how cheap we'd be willing go when choosing a firearm. 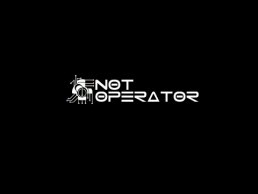 Welcome to the first episode of NotOpodcast, where Kilroy joins me to discuss a variety of topics such as the latest graphics cards, gaming news, and which gun you'd choose in a bad situation. We know it's been awhile since you've heard from us, but Not Operator is back with a new status update video and we're looking forward to getting new content up on the site very soon.